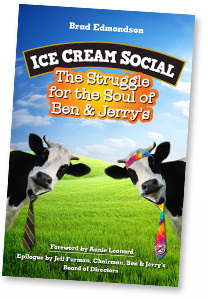 The Tucson Festival of Books is gi-normous, and this year it’s pondering socially conscious ice cream. 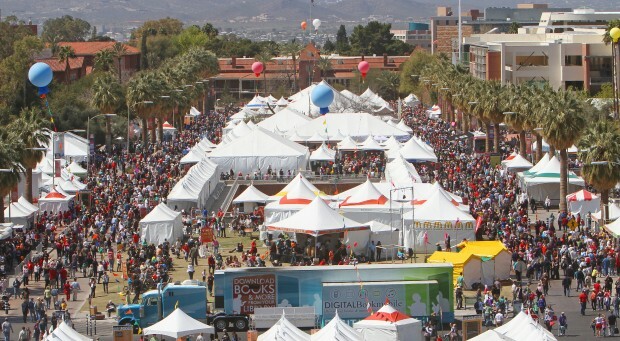 This annual event will draw more than 100,000 people to the University of Arizona campus on Saturday and Sunday, March 14 and 15. Everyone who goes loves to read and share what they’re reading. If that describes you, and you’re anywhere in the neighborhood, don’t miss it – and please stop by to say hello! Brad will be on a panel at the Book Festival in the morning, and will also give a book talk in the Kachina Gallery of the US Student Union at 4pm. While in Arizona, Brad will also be meeting with activists who are pushing the state’s rapidly-growing movement for benefit corporations. In January, Arizona joined Minnesota and New Hampshire in allowing businesses to be chartered as benefit corporations that pursue both profits and social benefits. Twenty-seven states now offer the benefit corporation class, and more than 1,600 companies have received it. Nine Arizona companies are listed as certified B Corps, including Goodmans Interior Structures, the largest distributor of office furniture in the Southwest, and Tucson-based Technicians for Sustainability, which installs solar panels. TFS Solar will attend Brad’s afternoon presentation to talk about the movement and answer questions.